Russia’s New Borei-Class Submarine: Armed with a New (And Deadly) Nuclear Missile and Super Stealth? The National Interest previously reported that the Russian Navy is developing an advanced iteration of its Borei-class submarine line, called Borei II or Project 955A. “The first is being launched this year and is expected to be commissioned next year. There are contracts out for five boats. There was talk of two more being built in the 2020s, but recently the head of naval procurement said that won’t be happening,” said Dmitry Gorenburg, a senior research scientist specializing in Russian military affairs at the Center for Naval Analyses. Little is known about the status of later entries into the series, commissioned through 2027 for a total of seven 955A submarines. However, more information concerning Russia’s armament plans for the first 955A submarine, Knyaz Vladimir , has come to light over the last year. Russian state media have recently given an update on ongoing efforts to integrate the Bulava missile system with 955A-series vessels: „The leading Project 955A vessel Knyaz Vladimir will carry out preparatory fire with a Bulava on the Kura Range in Kamchatka at state testing in the fall of 2019,” a military insider source told the Russian TASS news agency. RSM-56 Bulava, NATO reporting name “Mace,” is a ballistic missile system developed for the Borei-class submarines. It boasts a maximum effective range of around 8,000 to 10,000 km, accompanied by a 550 kiloton (kT) nuclear warhead with a new, GLONASS-powered digital inertial navigation system. Bulava is submarine-born variant of the Topol-M, widely regarded as the pinnacle of Russian missile engineering. It is meant to replace the aging R-39 Rif ballistic missiles found on Russia’s Typhoon-class submarines, armed with a significantly weaker 100 kT warhead and increasingly obsolete navigation technology. Despite a tortured development process, the Russian military projects confidence that Bulava will become an integral plank of the Kremlin’s nuclear triad for decades to come. Former colonel and military expert Viktor Bondarenko gave an optimistic forecast to Russian news: “the maritime launch of the “Bulava” ballistic indicates that the project will continue on a successful development path. This is a very powerful, serious weapon, that was born out of serious engineering agonies. And the more successful [test] launches, the more confidently the Russian navy will take on board this fearsome weapon, whose range approaches 10,000 km,” he said after Bulava’s successful 2017 test launch. As of the time of writing, Project 955 and 955A submarines are both thought to carry sixteen Bulava missiles; early reports that the 955A-class will come with twenty-tube launchers and other launching mechanism improvements remain unconfirmed. With official Russian channels loath to comment on differences between these two Borei classes, it is unlikely but still unknown if the 955A will feature any combat efficacy changes beyond minor target acquisition improvements. Knyaz Vladimir will be presented to Russia’s Northern Fleet in the Summer of 2019. As with the rest of the 955A-series, it will offer a host of iterative improvements over its 955 predecessor: new onboard electronics, updated communications systems, and revised crew living quarters. 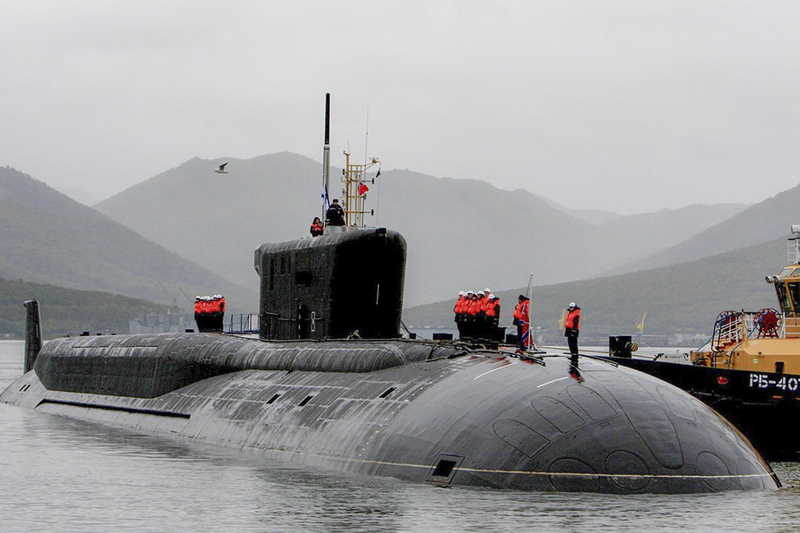 Most recently, the Director of the Kurchatov Institute R&D center Russian told Russian media that the Borei-class submarines will be twice as quiet as the U.S. Virginia-Class Submarine line.